The SwissPass was born as a travel and museum pass for tourists. This idea of enjoying unlimited travel and access to hundreds of museums has proven extremely popular, but the VIP card had to make way and change its name to the Swiss Travel Pass. Meanwhile, Swiss Rail has launched a new card in order to facilitate things for residents, too. The SwissPass is a one-for-all, credit card sized pass: It can include everything from GA all-inclusive pass to ski passes for various resorts. Whether you are a resident or a tourist, these five train journeys require no extra fare. Just hop on and enjoy the ride! 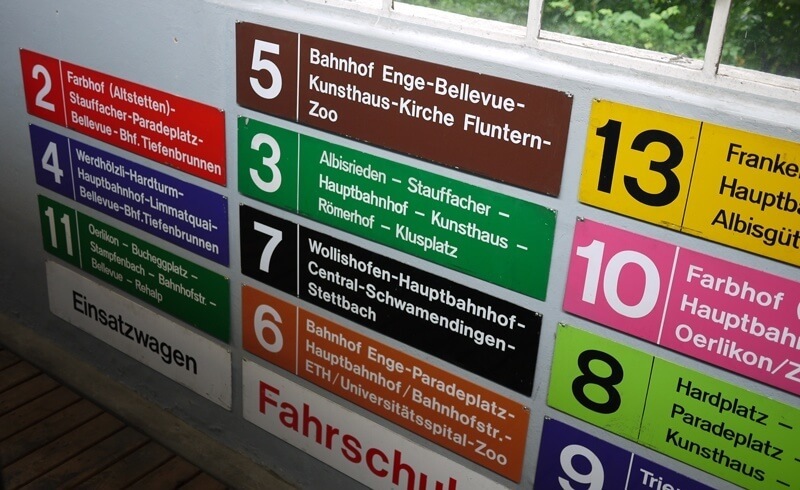 In December 2016, the Gotthard base tunnel will open to rail traffic, taking you from Zürich to Lugano before you had time to say "Chuchichäschtli". 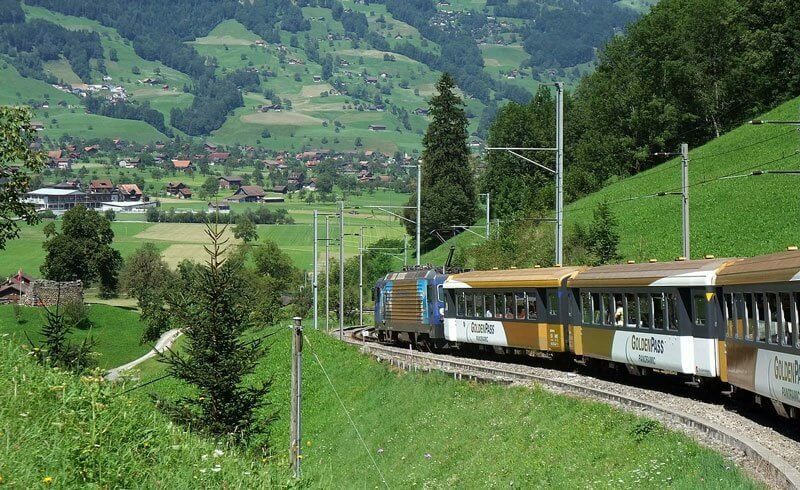 Until then, trains will continue to take the historic mountain line, which offers breathtaking vistas over the valley and of the famous "Wassen" Church. The difference in elevation requires a couple of loops, allowing you to see the church from all angles. Hourly departures from Basel, Lucerne, Zürich, Lugano and Locarno. The Brünig Line: Elementary, my dear Watson! 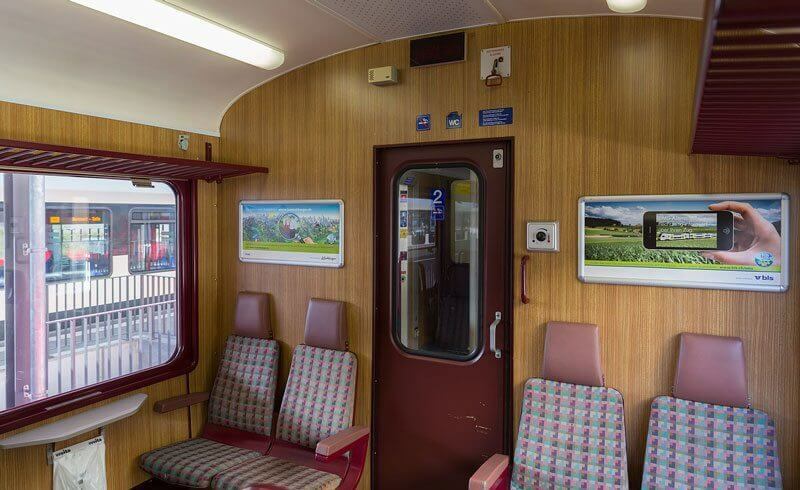 You may want to pay the extra fee for panoramic windows on the GoldenPass. But if you just fancy a quick, unexpected treat between Lucerne and Interlaken, do it via the Brünig Pass. 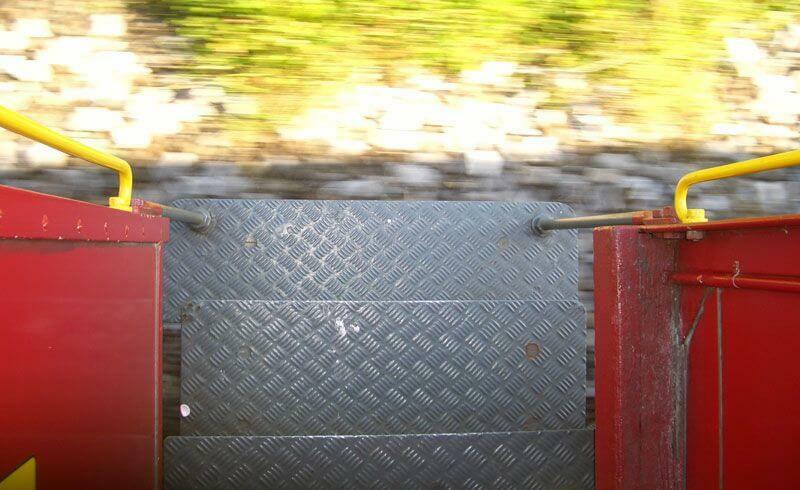 Many sections of the railway require a rack to make it through the mountain, giving you plenty of time to see spectacular views over both valleys. A stop in Meiringen will take you back to the story of Sherlock Holmes and the tragic episode of the Reichenbach falls. The entire town has its own Sherlockian touch and is definitely worth a stop over lunchtime. 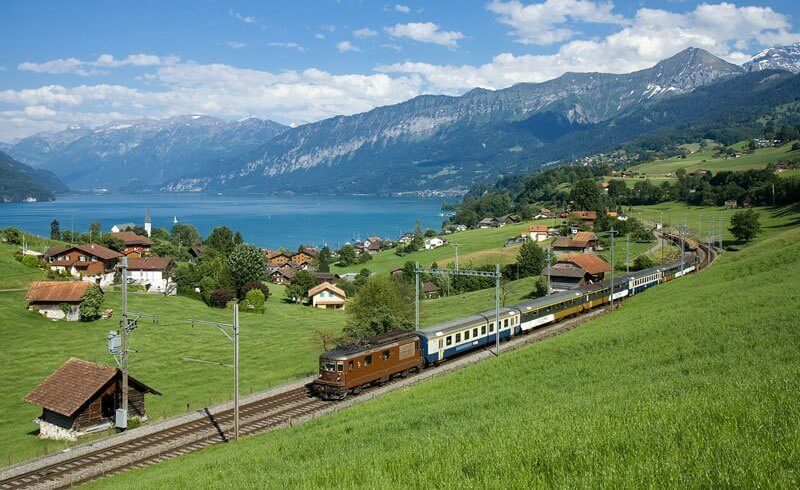 Hourly departures from Lucerne (LU) or Interlaken Ost (BE). 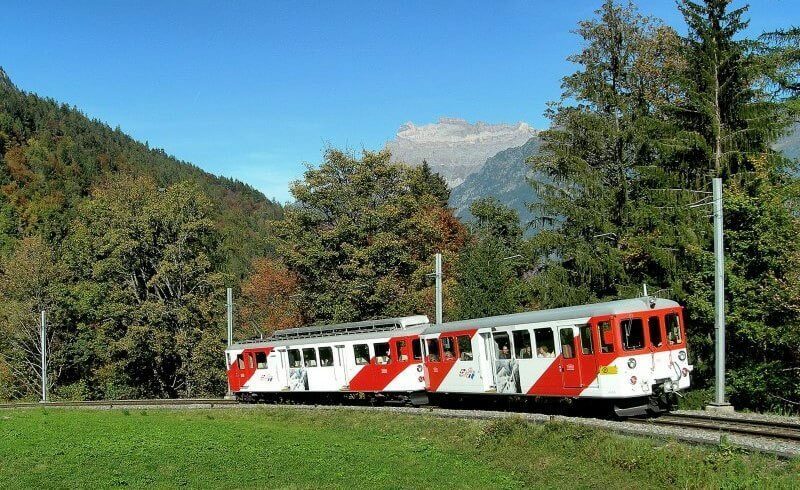 For the border crossers who wish to explore that vicinity of the Alps, the rack railway between Martigny (VS) and Chamonix (France) has it all: Unique views, narrow tunnels, an international border, and a majestic arrival facing Mont Blanc and the glaciers. Hourly departures from Martigny (VS). The Franches-Montagnes are an underrated part of Western Switzerland: This vast plateau more than 1000 meters high has a strong identity, friendly people and exciting traditions. 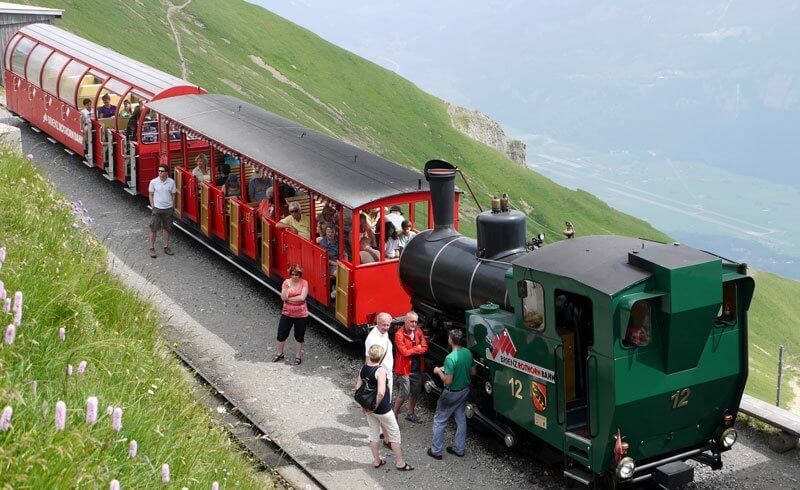 The "petit train rouge" is an element of pride for the population as it connects the entire region, from the watchmaking town of La-Chaux-de-Fonds to the Canton of Jura. The small company CJ (Chemins de fer du Jura) even organizes scooter and ski hires for more variety. Hourly departures from La-Chaux-de-Fonds (NE) or Glovelier (JU). 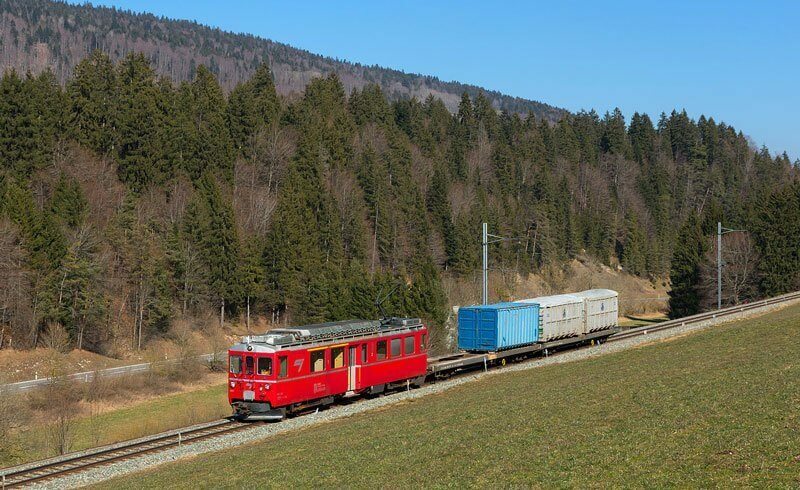 Nowadays, anyone travelling from Berne to the Valais will board the popular InterCity trains crossing the Lötschberg base tunnel – as will be the case with the Gotthard very soon. Hourly departures from Berne (BE), Thun (BE), Spiez (BE) and Brig (VS). One last thing: Once you have enjoyed all of these trips, do not forget to go back six months later. 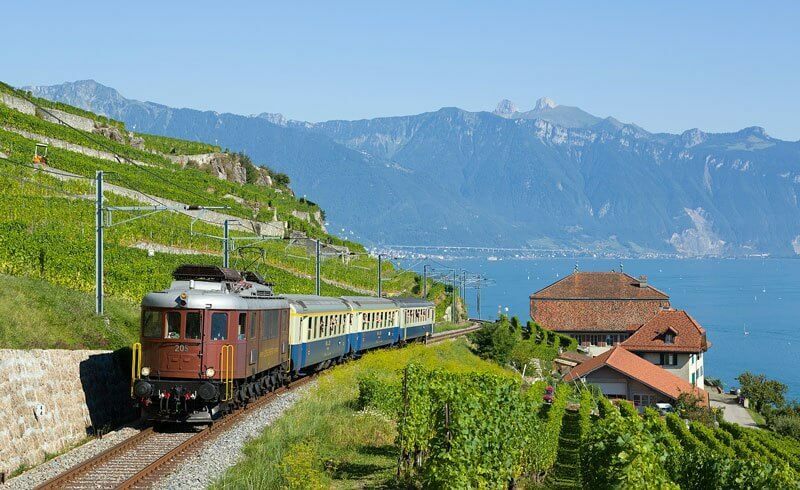 These five Swiss train itineraries are amazing all year round! 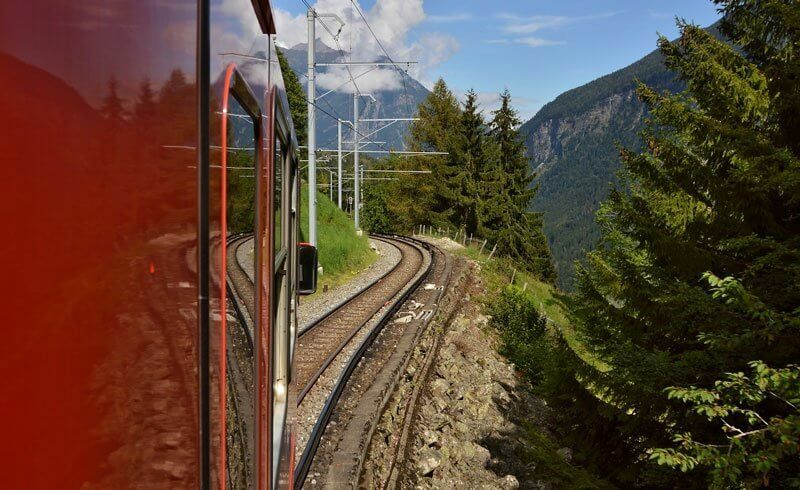 Here are some more memorable train lines in Switzerland and our ultimate guide to the Bernina Express train line!